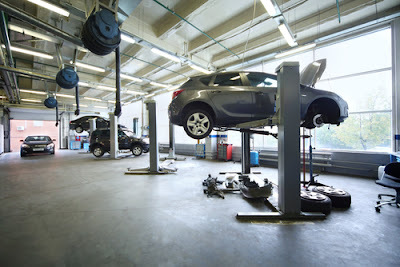 Singapore Car Repair: Why Choose Us As Your Car Aircon Repair Workshop? Why Choose Us As Your Car Aircon Repair Workshop? Car airconditioners do more than keep you cool and comfortable in your vehicle. Sure enough, it lets you break free from outside heat or humidity within your car that leads to sweating and brings about stress. Many Singaporeans are unaware that it contributes to improved gas mileage every time they are on the road and go wherever they need to be. It functions to purify and dilute the surrounding air which eliminates the possibility of suffocation on unhealthy gas or various other health problems to arise. The importance of maintaining your car aircon and getting a faulty unit fixed or replaced immediately cannot be highlighted more. 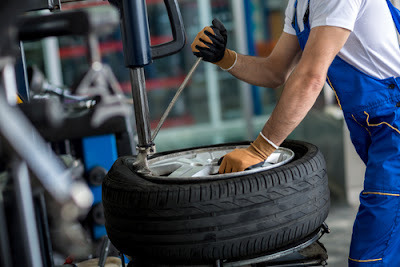 If you are looking for a car aircon repair shop in Singapore, then you've just found the best mechanics where no problem is too big to handle! You can count on our car repair business for all your car aircon needs. 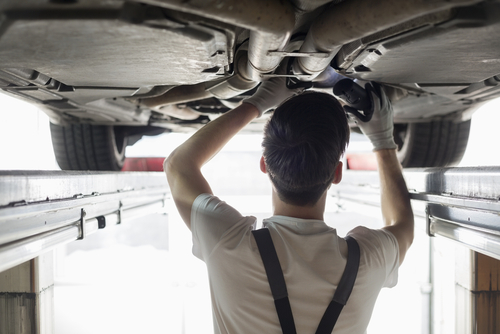 We make ourselves distinctive from the rest of auto repair workshops with our competitive edge of providing every client with a stellar experience. Our services are defined by expertise, experience, top-notch quality, genuine parts and equipment, and trustworthiness. We make certain that each aspect is met and performed with the highest standards that never fail to impress customers as we go beyond their expectations. A good mechanic is capable of making a huge difference in your overall experience as a customer and how your aircon and car itself turns out. What sets us apart from some servicers is some tend to have general knowledge only, rather must be specialized to be able to determine the real aircon issue and know exactly what to do. Our car aircon repair workshop exhibits consistency in accepting the most complex aircon issues and repair works. We have employed only first-rate car aircon repair specialists to check out your unit incorporated in all types of automobiles, whichever make or model you have. Our technicians are well-trained and have amassed years of experience which makes them highly qualified for the job. This makes it evident how they associate with traditional vehicles, while they also keep up with the ever changing car industry and familiarize themselves with state-of-the-art cars and its parts. They can take on any problem, which will be quickly and accurately diagnosed, and immediately addressed without wasting any time. Moreover, it won't bring forth unnecessary trouble and added expenses for you in the near future. Why? Simply because the ultimate solution has already been implemented to your convenience and peace of mind. Finding experts in the field who are knowledgeable and experienced will save you valuable time and money. We aim to give you and your vehicle the highest quality of parts and services at the best price. We utilize only top quality parts with the assurance that they are not in any way pieces of junk or sourced anywhere else that could have compromised performance. Did you know that there are existing companies who always find ways when it comes to managing their expenses and lucrativity, who would not mind putting cheap and poor quality parts in their customer's vehicle though they are well aware of possible consequences? Indeed, the incredible prices and offers may be appealing at first to customers who unknowingly are only saving a few dollars upfront. Later on, it gives them more than an aircon problem with the frustration of another upcoming repair that is really unnecessary, and even more costly expenses to face. We guarantee our customers the use of top quality parts for all aircon repairs that will keep you happy and satisfied, prove to be highly beneficial in the long run by giving you more than your money's worth with outstanding service. The right tools and equipment are essential to form part of every auto aircon repair business. We adapt with the latest technology of today's modern times and do upgrades of our resources as necessary. The newest tools, machines, and equipments allow our technicians to do their job with optimal efficiency. Despite being able to complete the task in the fastest time, you remain assured of the most effective process done and undertaken for your car aircon repair. It is executed by the skillful hands of our personnel together with the use of up-to-date modern day diagnostic and repair tools that were particularly designed to handle the task. We value the trust given to us which paves the way for customer satisfaction. This is why many feel comfortable with the quality of service our professional yet friendly staff provides, primarily for being passionate about their work and concern for helping people with their car aircon problems. Our mechanics and technicians give honest insights of any car aircon scenario and work only with your best interest in mind. This includes prioritizing your safety and observing both time and cost efficiency. We create an almost personal connection with every client for a more personalized service that's tailored to every need, unlike some who are income centered and care only about getting paid. On our part, we want clients to remember us as a reputable company who cares and wish to keep our customers. Our place is your one-stop-shop with everything you may require not only for your aircon, but all other car parts and services. We have professional workers who were trained under different specializations who exhibit each their own skills and knowledge. This allows us to deliver beyond car aircon servicing including the most complex auto service jobs, respraying, repairs and replacement, or routine vehicle maintenance. It is noteworthy to state that we do everything on our end to meet every car owner's needs and expectations. Whether you have a classic or the latest car model, we are able to accommodate all car aircon issues and car problems. All these things have come to yield numerous satisfied customers who were impressed with our car aircon repair workshop. Most importantly, these are the same reasons why many have made the wise decision of choosing us!